I am often asked by students which I would recommend as the ideal home protection weapon. A handgun, rifle, or a shotgun. This is not a question that has a cut and dried answer. Each weapon has its own supporters and each weapon has both pros and cons compared to the other. 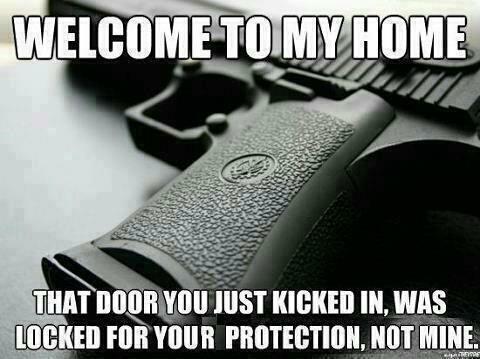 So what do you need to know to make the right choice for your home defense? The answer to this question is: “It depends” And basically it depends on you. Your living arrangements. Your level of training. Your commitment to being properly trained. Your family situation. Your physical condition and health. All of these factors will affect your choice of a home defense weapon. Since everyone’s individual situation is different, all we can do here is analyze the weapons and you get to make the choice. Keep in mind that we are primarily speaking of modern semi-automatic pistols or Double Action revolvers, and either pump or semi-automatic shotguns. But I want to emphasize a serious point: If you are not willing to spend the appropriate time and finances to be properly trained, it simply doesn’t matter what weapon you choose because you will be incompetent, and perhaps even dangerous to yourself and innocent others, with any firearm. Revolver or semi-automatic? Both will do for basic home defense. I discuss this in-depth in my article Revolver vs. Automatic, but for our purposes here, they will be considered the same. Pros: The handgun is handy and relatively light. They are small and easy to carry on your person if your situation dictates being constantly armed. They will fit easily into a bedside drawer, or a biometric lock box next to the bed. They can easily be operated with only one hand, for example, when you have to hold or maneuver a child. Most modern semi-automatic pistols will have rails to allow you to attach a light to the gun, allowing, again, one-handed operation. Many people do not fully appreciate that having a light source for target identification at night is extremely important. Many of these lights will have a strobe feature allowing you to both identify and blind your target. And you better be damned sure of your target before you pull the trigger. Cons: Regardless of the hype in the popular gun press, pistols are relatively poor defensive weapons compared to a rifle or shotgun. Yes, they do stop fights, and yes there are a large number of modern defensive loads that have increased their effectiveness, and yes I do carry one. It is much more convenient that walking around with my AK strapped on. But compared to a rifle or shotgun they fall short in that all important category of “stop the assailant now”. Pistols are more difficult to use to hit a target under stressful conditions. Therefore, if you are going to rely on one, you need to get sufficient training to be effective. I am primarily talking about semi-automatic magazine fed firearms such as an AR, AK, or even larger weapon. Pros: They are a lot more powerful than a handgun. A solid torso hit with a .223 or 7.62 mm round is going to end the issue for the receiver even if they are wearing body armor (ask any police officer who has been shot, even with just a handgun, while wearing body armor, how effective he was after). They can also be mounted with lights. Being magazine fed, they are much quicker to reload than a shotgun. Having better sights than either a pistol or shotgun can be an advantage in rural settings where you might have to engage on your property at some distance. Cons: Normally requires two hands to operate effectively. Being a longer weapon, it takes more skill to navigate enclosed spaces effectively without it being taken away from you by an intruder. (navigating corners). For an excellent manual on how to clear your home tactically I highly recommend The Tactical Advantage by Gabe Suarez. I am talking here about a modern pump or semi-automatic shotgun, not Grandpa’s double-barreled shotgun (although they can also be ferocious weapons in their own right in skillful hands). Pros: Loaded with proper buckshot such as #4 or 00, they are extremely effective stoppers. At short-range, the spread of the buckshot is usually pretty tight. See my article on the Remington 11-87 Police Model for some photographic examples at various ranges. The myth of the “Alley Sweeper” is just that. A myth. They can be a lot less expensive than either a handgun or a rifle. Many quality pump shotguns can be had for about $200.00 in some places. Cons: Like the rifle, it requires two hands to operate. Shotguns tend to recoil a lot more than rifles slowing down a second shot which could be important dealing with multiple assailants. They are slow to reload compared to a rifle or handgun, with the exception of magazine loaded shotguns like the Saiga. With pump shotguns, there is always the possibility of a “short stroke” malfunction which can be difficult to clear even in good circumstances. This one has been kicked around the barnyard by the popular gun press for a long time. And yes, it is a consideration. But it should not be your primary consideration when selecting a firearm for home defense. Any firearm that fires a cartridge powerful enough to stop a violent criminal in your home is going to be powerful enough to penetrate thin walls and enter other rooms or even exit your home and enter another. The answer isn’t in selecting a weapon. The answer is you. You need to know the legalities involved where you live, the arrangement of your home and where people will be at night. You need to be sufficiently skilled with whatever weapon you choose in order to hit the target under stress, and you need to be tactically prepared in order to know when to shoot and when not to. Make your weapon choice for home defense wisely, and then train to learn how to use it legally and effectively. The life you save may be yours or a loved one. Military isnt civilian, as far as contracting, ive done my fair share and actually been involved in engagements of an interesting nature. The fact is an attached light is a benefit not a detriment. 1. Never keep it on. Thats sheer stupidity. 2. Target identification is essential. 3. Unless you don’t mind shooting your kids. In which case do what you will. 4. Im not sure how or where you got the idea that I actually think one is better then another. But the fact is, there is only three things that matter in firearms choice. B. Ability (constant regular training), it is a perishable skill, period. Jesse – Not to worry. With that ego of yours, there won’t be any intruder that could fit in the same room with you. You’re safe.
? Seriously, you quoted 3 different myths in one response all while disparaging perfectly legitimate approaches and its my ego? Do you even understand what ego means or is? Yes I do know what ego is. The presence of ego is indicated when an individual disparages a differing opinion, even when held by many others, claiming categorically what is right and what is myth based on nothing more than their own conceit and, possibly the words of their pet airedale, who they often claim talks directly to God. Ego does not tolerate differing opinions. An egotist labels anything that might not agree with the beliefs of the egotist as “myth”. A light mounted on your weapon is like a lighthouse in the night screaming, “I’M OVER HERE!”. It serves better as a target than an illuminator. If you need some light, its better to just … well… turn on the light. If it’s at night, the light is probably by your gun on the nightstand. I’ve been in a few military firefights and just hitting the bad guys usually does the trick. In Iraq I remember aiming center mass at a bad guy about a hundred and fifty yards away. I believe I hit him in the hand. He ducked into a doorway and went away. That was good enough. And some guy breaking into my house won’t the motivated, trained professional I hit that day. He’ll be a weak little weasel that will probably run away with even less incentive. I live in the suburbs. A handgun easily retrievable from my bedstand is always there to facilitate instant response. I have a pump shotgun almost as accessible… racking a round makes a scary sound that might be enough to get an intruder to run away. And accuracy is less of an issue than with the handgun. Using either of these weapons also minimizes the chance that someone next door might be hit. We intend to retire to a more rural homestead. For that I would keep an M1A or Saiga (chambered in 308) handy. Its always best to have a longer reach than an opponent, although in an urban or suburban environment, you might end up hurting someone on the next block. And a semi-auto allows you to maintain your sight picture without reacquiring the target, as required with a bolt or lever action. AARguy, a light is only to illuminate and ensure proper target identification only hollywood and military or cops keep lights on all the time. shotguns are not majik- and handguns are tools but really for the benefit versus actual ratio of stoppage a carbine is the better choice. Some of us use facts. Using a light on your weapon to acquire the target is great if you are shooting cans. But if your target is an aggressive, armed enemy, then having a light on your weapon becomes a disadvantage to you and an advantage to the intruder. Think about it. You turn on the light. The bad guy sees it, points and shoots. Easy. Darn near instant. From your standpoint, you turn on the light move it around until you locate the bad guy (who’s probably crouching, hiding behind things, or otherwise trying to keep from being seen). By the time you acquire HIM… he’s already shot you. “Penetration” is hardly an issue when a bad guy is in your bedroom. I’ve read all the testosterone-driven drivel about “penetration”. I would just refer to a firefight I was in, in Iraq. I took a shot at 200 meters against a bad guy, aiming center mass. I hit him in the hand. He went away. The outcome forced him to “mission abort”. I won. Pretty simple. I would suggest that a crazy radical terrorist ready to die for Allah would have a lot more staying power than a thug breaking in to your house. A good solid blown off set of fingers will discourage him. But while that is enough, if he is threatening your life, while “mission abort” may get the job done, a “catastrophic kill” should remain the goal. From Commanding a Basic Training Company at Fort Leonard Wood to being a civilian trainer for the NEW Iraqi Army at KMTB (Kir Kush Military Training Base) northeast of Baghdad, I have trained not only marksmanship, but small unit tactics all over the world. I also spent three years training the Army in small unit to Battalion level tactics using the MILES system. The advantage of using MILES is that it takes you way beyond the marksmanship stuff you learn at the range and allows to train against a determine enemy that is moving, staying covered and concealed, and FIRING BACK. As far as the best weapon for home defense? There is no best answer. It depends on the threat. If the bad guys are approaching from a distance across a field, a rifle is obviously the best bet. (I keep an M1A and a Saiga chambered in 308 in case the bad guys have AR’s… I’ll outrange them.) If the threat is already inside your house, I prefer a shotgun. The bigger footprint increases the chance for a hit. I keep a Mossberg 500 in the “cruiser” configuration for easy handling in confined spaces. The unique sound of chambering a round may also cause a “mission abort” by the bad guy without a round being fired. He may just decide to leave. 4 buck is my round of choice. It gets the job done without requiring massive home repairs when it’s all over. Some folks may prefer to keep a handgun in the bedside nightstand too. I do. It is the easiest thing to retrieve and use if the bad guy is almost on top of you. I prefer 40 S&W for that. But its all a matter of personal preference. When it comes down to it, it’s like arguing the relative merits of chocolate, vanilla, and strawberry ice cream. Whatever suits you, whatever is most comfortable for you, whatever WORKS FOR YOU… is the best choice. That’s a point that needs to be made over and over until people understand it ain’t like the tee-vee shows. I’m a fan of the scout rifle concept myself,and I’m just a better shot with a bolt action,after well over 40 years of hunting big game. My ’94 Winchester 30-30 is a close second. In my mind, the lever action is a viable defensive and survival weapon that is often overlooked. With training it can be fired faster than most bolt actions, and reloaded quicker. The .30-30 is no slouch as a cartridge either. One of the main reasons I want a .308 bolt action and not semi-auto. It would be my long range rifle, so tossing a lot of ammo downrange in an expedient manner isn’t necessary. The closer the target(s), the higher chance I use my S&W AR15. Make sense? It makes good sense. Each type of weapon has its own special job. Agreed, check out sgammo and selway armory for pricing- Picked up a couple cases of 5.45×39 hornady vmax 60 grain- love it! 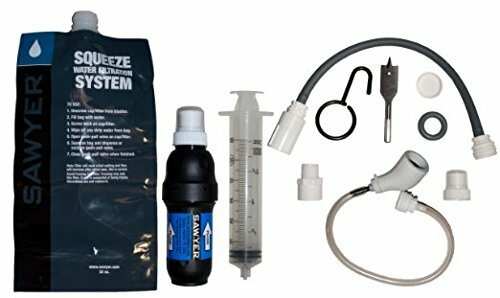 A solid article, I tend to rely heavily on personal testing, ballistic gelatin and hog/javelina for what works and what doesnt. Long story short you are correct, it is really all about training properly and understanding your firearm. That being said, any defensive tool should have a light attached and should be absolutely 100% reliable. If one has shot enough they know, modern semi auto handguns are incredibly more reliable and easier to shoot than a revolver regardless make or manufacture. Shotguns require training and are actually more penetrative than a 5.56 carbine- (testing proved -) when using something like vmax which is an incredible round. Thanks. I use VMAX in my 5.45mm AK. Excellent round. Most handgun work is under 10 feet and most will miss torch or not. It won’t be like it was on that well lit controlled range. Backdrop is thus damn important. Having seen what did happen, it ain’t pretty. Its never pretty. Just sometimes necessary. Which one, the kill or the collateral damage. I like the Taurus Judge that shoots .410 shells and .45 long Colts… for home defense. I really like those for a lot of reasons. Good for snakes 2 legged and no legged. As soon as I can convince the Frau that she needs one, I will get myself one! It’s on my wishlist.. along with a Ruger Gunsite Scout .308 — Mossberg 500 JIC Cruiser — Henry U.S. Survival AR-7. I try to get at least one per year from that list. I have always been intrigued by the Scout Rifle concept. Cooper’s tactical concept for it was military oriented, but I think it is a great choice for survival and prepping. Bolt guns are definitely viable. Here in the People’s Republic of Kalifornia, the Judge is illegal. It’s considered an illegally short shotgun… go figure. I’d have one in a heartbeat if I could.